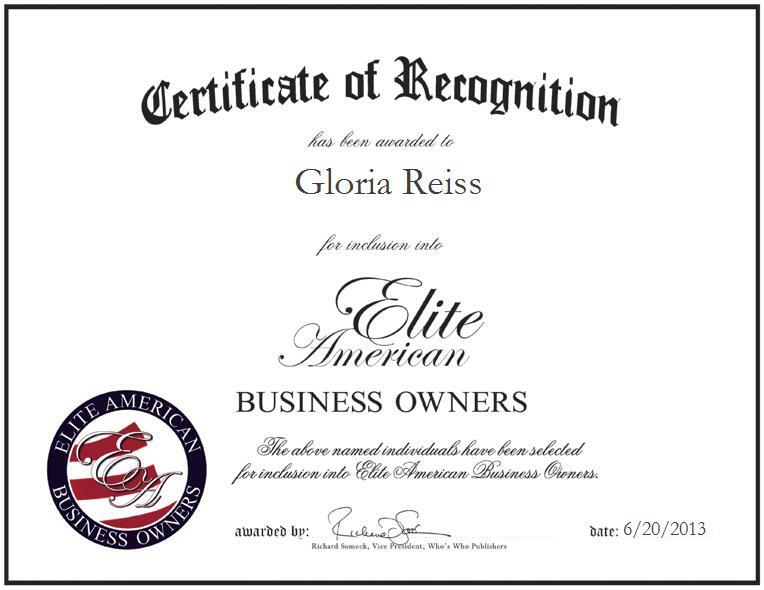 MAPLETON, ND, June 20, 2013, Gloria Reiss, Owner, Photographer and Picture Framer with the Buffalo Creek Art Studio, has been recognized by Elite American Business Owners for dedication, achievements, and leadership in fine arts photography. At her current post, Ms. Reiss takes the reins of her renowned business, expertly creating custom frames, as well as photographs and photographic imagery, which are then reproduced in various formats and media. She has fashioned a well-structured and ever-growing skill set over the course of a successful career, which spans more than 20 years, and made a name for herself as an accomplished art framing and fine arts photography specialist. Ms. Reiss was inspired to pursue a career path as a fine arts photographer by a desire to make the most of the arts education that she received early on. She attributes her success to her love for art, specifically photography and frame design. Ms. Reiss holds a Diploma in Graphic Communications from Minnesota State University Moorhead, as well. She looks forward to continuing her passions by working as a fine arts photographer and framer in the years ahead.